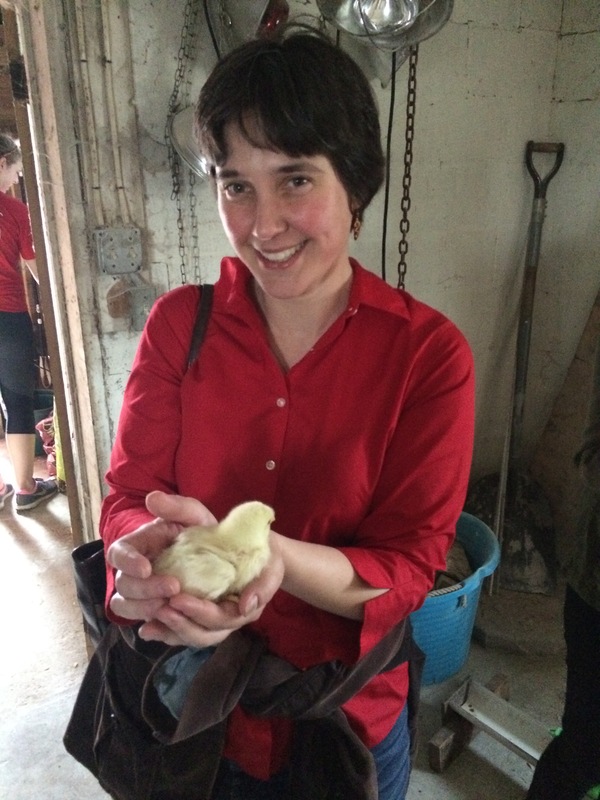 For the May installment of the Food Pedagogy Interview Series, we hear from Dr. Clare Sammells, Assistant Professor of Anthropology at Bucknell University. Her popular 200-level course “Food, Eating, and Culture” asks each student to become a “Food Expert” on one particular food over the course of the semester—a technique which brings topical depth to the theoretical breadth of the course. Lauren Renée Moore: I’d like to get started by hearing a little bit about your research. Clare A. Sammells: I conduct ethnographic research in highland Bolivia and with Bolivian migrants living in Madrid, Spain. My main research areas are the anthropology of tourism and the anthropology of food. I’m especially interested in how food is used to construct touristic experiences and ideas about heritage. So, I consider touristic restaurants and how the cuisine that’s served to foreign tourists in Bolivia is in conversation with the food people are eating in their homes and in other contexts. In Spain, I researched Bolivian restaurants that cater largely to Bolivian migrants, and investigated the challenges of producing Bolivian food in that context. LRM: What kinds of student does the course attract? CS: I have a lot of second semester seniors, some of whom are interested in food from the point of view of other disciplines, and some of whom have an open elective and think food sounds awesome. I agree! Most of my students are not anthropology majors, and many have never taken a course in anthropology before. LRM: Could you tell me a little about your institutional context? CS: Bucknell is one of the largest liberal arts colleges, located in Lewisburg, PA, which is a town of about 12,000 people surrounded by agricultural areas. We have a large Mennonite population in the area. Many who live here participate in Community Supported Agriculture programs, where they buy vegetables and fruits directly from farmers. Many people here garden, can, and engage with producing food very directly. LRM: What do you want students to get out of this course? CS: One of the things I do want them to get out of this is a basic understanding of the subdiscipline of the anthropology of food…. so the things that we anthropologists take for granted like, how is food a symbolic part of human existence? What do food taboos mean? How can we think about commodity chain relationships? What are the economic structures that influence what foods we have access to? Those kinds of questions. But given that so many of my students are not anthropologists, I have a more general goal, too: I want them to think critically about where their food comes from, who’s growing it, and how one can be an ethical consumer. I would hope that after this class, they wouldn’t just go to the supermarket and pick up strawberries and buy them, but might actually think about who is growing them, what kind of chemicals are going into their production, and whether people are getting a fair wage. And I hope that my students would have some idea of how to go about finding answers to those questions. I want them to have a better understanding of anthropology, but I also want them to be ethical eaters. LRM: Do you feel like students leave the class as more ethical eaters? CS: Oh, absolutely. Many students take the class because they’re already concerned about this issue. I have a lot of vegetarians in my class, for example. All the students bring in a dish once during the semester, and they socialize each other into being explicit about whether the dishes have meat in them, or dairy, or gluten, etc. One of the things that a lot of students begin to realize in this class is how little they actually know about their food. When I point out that they don’t know where the cucumbers that became the pickles on their hamburgers were grown, or where that cow was raised, then they can see that they really don’t know that much about their food. My goal isn’t necessarily to change their food habits, but rather to encourage them to ask more questions about what they are eating. LRM: Let’s get into your syllabus. I noticed that you incorporate a field trip. Can you tell me about it? CS: [I take students to] Owens Farm, about 40 minutes from here in Sunbury, PA. It’s an interesting farm because they are engaging in sustainable meat production of sheep and pigs. The Owens also do a lot of pedagogical events, including a Sheep Camp, where kids stay overnight at the farm during lambing season. When the sheep go into labor, they wake the kids up to help the sheep give birth. They do a lot of programs to get people engaged in agricultural work. It’s always interesting for me to take my students there. I’ve had students who had never seen a horse in person, who didn’t know that sheep made noise. I lived on a farm in Bolivia, so all that seemed really obvious, but it’s not necessarily part of all college students’ experience to interact with animals in that way. LRM: There’s an assignment attached to that field trip. What do you have students do in that assignment? CS: At the time we do this field trip, we’re also reading Warren Belasco’s Meals to Come: A History of the Future of Food. It’s a wonderful book, and he talks about how people have historically thought about the future of food. So I ask my students to think about Owens Farm as a very direct response to some of the industrial agricultural practices we see in our world. What is the alternative this farm presents for the future, in terms of how we could think about meat production? So I have them write a reflection paper on that experience. LRM: You don’t allow computers in your classroom. Could you talk a little about that? CS: I don’t allow computers in any of my classes. If I had my computer on in the classroom, I know I’d be on Facebook. So, I think it’s unfair for me to expect my students to not be on Facebook. It’s my personal quirk. I feel that for 55 minutes they can pay attention to me and to each other. I don’t spend most of my time in class lecturing, so I’m not expecting them to transcribe what I’m saying… instead, I have them sort through problems or analyze readings with each other. I know people feel differently about electronics in the classroom, and I do make some exceptions. For example, I have them take a modified version of the Food Stamp Challenge. For that class, they bring in computers and work with one computer per group to go online shopping with a budget. But I find for the most part prohibiting electronics works pretty well. I find that if that policy is in the syllabus and I am consistent and clear about it, students accept it. It makes an enormous difference in terms of making sure students are engaged with the class. They’re paying attention, and they’re not distracting each other. I think it’s working pretty well. LRM: Can you tell me about the “food experts” component of this course? CS: That’s actually one of my favorite parts of this class. I think it may be part of why so many students might take it… they have snacks in class everyday! The very first class I bring in food. I try to bring in something that the students won’t immediately be able to identify. I tell them, “If you have an allergy, you can tell me, and I will assure you that this will not kill you. But, other than that, I’m not going to tell you what this is.” Then, I have them write a description of it. I tell them that one of the challenges of writing about food is trying to describe foods to people who have never tried them. Talking about food is always audience-dependent. This time I brought in chuño (Andean freeze-dried potatoes). It was interesting to see which ones of them liked it and which ones were not as enamored. During the first week I bring in a box with paper slips naming 50 foods. They’re all basic ingredients: chicken, spices like cardamom or cinnamon, grains like wheat or rice, tubers like potatoes or manioc, fruits and vegetables. I have them pull one name out of a hat, and then I give them a week to trade with each other or with the “leftovers” at my office. There’s a little bit of choice, but they all end up with a unique food. That’s the food they follow through for the rest of the semester. I want them to think of it as a field-to-fork kind of assignment where they are becoming the class expert on something. They address the theoretical themes that we are talking about in class through short papers that are focused on their own food. Once during the semester, they bring in a dish that highlights their food to share with their class. Then they write a paper about the experience of working with that food, and how people responded to it. They don’t generally cook a lot, and some students have told me, “This is my first time cooking something on campus.” It’s really interesting to see them engaged with the food in an experiential kind of way. That’s really different from just writing about something. LRM: Can you tell me a little more about the short essays related to the theoretical components of the course? Another paper asks them to compare two dishes with the same ingredient that are eaten in different cultural contexts, and to talk about the difference in symbolism between those two dishes. So, they think about how the same food can be invoked in different meaningful ways. Another paper is to think about how their food is affected by globalization, and how it moves through global networks of people and economic systems. They follow one food all the way through. At the end, I had one student say to me, “I never thought I’d know this much about turnips!” But that’s kind of cool, to be a turnip expert. LRM: How do you select the foods that make that 50 foods list? CS: I pick foods that appear in multiple cultural contexts, so they can be compared cross-culturally, and that are part of a global commodity chain of some kind. I also pick foods that I think they’ll be able to find, work with, and cook. For example, I don’t include lobster, because that’s expensive. I also don’t include foods, like llama meat or guinea pig, that would be extremely difficult to find in central Pennsylvania. LRM: I wanted to jump to a different aspect of the course. I see that you have listed a teach-in day for Martin Luther King, Jr. day. I wonder if you could tell me a little bit about that? CS: That was a campus-wide event at Bucknell University in honor of Martin Luther King Jr. day. The challenge to all of us as faculty was to discuss questions of structural racism and structural inequality in the context of whatever classes we were teaching at the time. I broke from the regular syllabus a bit to talk about food deserts, and to look at Monica White’s work with African American urban farmers in Detroit, and how they’re dealing with food deserts by farming their own food. The D-Town Farmers have an agreement with the city of Detroit to farm in one of the public parks. I showed the students a video interview with one of their leaders, Malik Yakini, and we looked at maps of food deserts in urban areas such as Baltimore. I started off the class by asking them a series of questions, and asking them to stand up when they agreed. I began with, “Everyone has the right to eat,” and they all stood up. But then we got to questions like, “People should pay for food,” and “Grocery stores should have the right to open up where they think they can make the most money,” this is where we start to see the contradictions. If food is a right, how do we make sure everyone has access to it? I don’t have the answers to that question, but I wanted them to understand that access to food parallels other kinds of structural inequalities like racism and class. LRM: One of the challenges instructors face is getting students to pay attention to the syllabus. I notice that your syllabus has a statement about emailing you with a particular word by a particular date for extra credit. Can you tell me a little bit about that? CS: Oh, yeah! That’s my Easter egg, and I’ve actually started doing that in a lot of my syllabi. The first assignment for all of my classes is to read the syllabus, and I’ve found that a lot of them were not doing that. So I started adding these things. The word changes every time, and I also change where it is in the syllabus. About 1/3 of the class emails me with the word, and I give them extra credit. Even though it’s not a huge thing, I think it gives them the feeling that they’re starting off on the right foot. And it ensures me that they actually have looked at the syllabus. Of course, we all want our students to know what they’re getting into, and to feel like they are agreeing to engage in the same project that we are as professors. LRM: I wonder if you could talk a little bit about the book selections in the course? I know you use Meals to Come, and it looks like you also rely fairly heavily on Noodle Narratives. Could you talk a little bit about that? which I like because it takes a food that my students are probably more familiar with than they would like to admit (instant noodles) and puts it in cultural contexts that they would not necessarily consider. 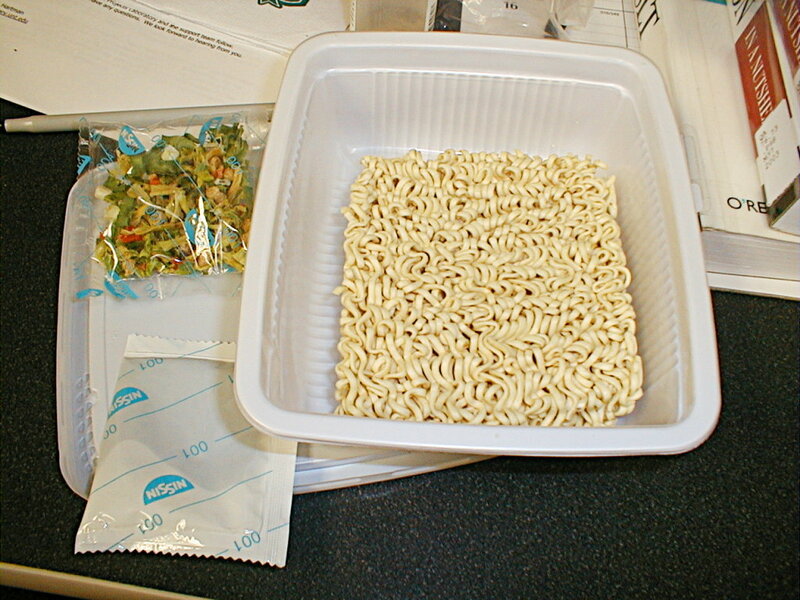 Instant noodles were developed in Japan, and are consumed in Papua New Guinea, on college campuses, and by many prisoners in the United States. Here in Lewisburg we’re very close to four major prisons, and it’s a major employer in the town, so this is part of our local economy. Noodle Narratives allows us to address [a wide range of] questions. LRM: Are there other readings that are particularly successful? CS: I really like the first chapter of Paul Stoller’s The Taste of Ethnographic Things: The Senses in Anthropology. I open with that. He and his wife are living with the Songhay, and the chapter describes an intentionally disgusting meal and what that’s meant to communicate. My students really like this piece. It’s beautifully written and it’s a compelling story. I think the idea of being a teenager who has to communicate in non-verbal ways resonates with them to some extent. The main character who’s preparing this meal is a teenager, and she feels powerless; this is how she’s able to express herself. It gets students thinking about food in a different way. This cook’s goal isn’t to make something tasty and delicious, although she can cook. She chooses not to cook well for a specific reason, and her purpose is correctly interpreted by everyone. That’s a piece I really like to start with because it captures first what it’s like to be an anthropologist, and second, the communicative aspect of food that is so powerful. Another piece that they found really interesting was Michael Owen Jones’ piece “Dining on Death Row: Last Meals and the Crutch of Ritual.” I showed them a short video about the procedures followed on an execution day, and we talk about that as a ritual. Then we discuss what rituals do, and why are so many people interested in what the condemned eat for their last meal. We were able to use that to talk about things like the structural inequality that exists in our incarceration system, who is put on death row, and why people would be interested in what they’re eating. [The students] had a lot of interesting things to say about that. LRM: One of the things I’m really interested in is how you have interwoven global topics with things that are going on in North America–like freeganism–that students might relate to. CS: I think one of the challenges for our discipline is how can we talk about big global processes and yet still think about the daily, lived experience of people who are eating meals with others particular contexts. The freegans are particularly interesting. We spend a week talking about dystopias and how people envision the collapse of food systems. I show them clips from Soylent Green, for example. We move from that to freegans, who are commenting on waste in our society. 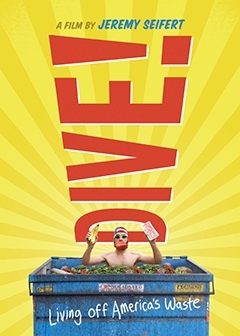 I show them Dive: Living Off America’s Waste, a documentary about dumpster divers in Los Angeles. There’s a really interesting scene in this documentary in which some of these dumpster divers are confronted by the police. These dumpster divers are all clearly middle class, white, young people with nice cars, and they’re in dumpsters getting food. One of them just walks up to the police officer and shakes the officer’s hand while they film him. The police officer’s really polite to them. I challenge my students to think about whether would everyone in this situation feel comfortable doing that. That’s an incredible position of privilege to feel like you can walk up to a police officer and explain to him that, yeah, you’re breaking the law, technically, but see, you have this political project. And the police officer will be like, “Ok, can you just clean up when you’re done?” Especially in our current context, with the national discussion we’re having about the relationship between the police and African-American men, this moment in the film was really striking. We talk about the difference between dumpster diving with your four-figure video camera and private car, versus someone who actually needs that food. My students talk about how, on the one hand, they want to reduce food waste. But on the other hand, they’re also part of the society we’re in, and their ability to do that is structured in certain ways. LRM: Do you have any final thoughts? CS: I think one thing that has really worked for this class is getting students to cook and to eat. I think often, especially those of us who work with college students who live in dorms who might not have their own kitchens, we can be hesitant to insist that they cook because of those structural constraints. At the same time, I have found that they are excited to do that. They come to class and talk about trying out recipes on their roommates, borrowing tools, putting out grease fires. One of the great things about food is that we can engage all the senses. It’s one of the reasons I like to have food in class, because just talking about food makes you hungry! LRM: This sounds like an engaging and exciting class. Thank you so much for sharing it with us! Are you getting tired of “eating alone”? Now you have a solution. Just click away. While you’re eating, you can watch someone eat online. And this is exactly what’s happening in Korea. And this has become lucrative business. Pictured above is Ji-hwan Choi, known as Chef King Biryong on his Meok-bang show. He is one of the more well-known meok-bang show hosts. He is in military uniform to connect viewers and to bring back nostalgic memories because most males in Korea have to serve in the military. The Diva is another popular host. This growing new trend of “watching someone eat” (meok-bang: eating on air or eating broadcasts in Korean) can be attributed to a number of factors. Among them, I will highlight four factors behind the soaring popularity of meok-bang. First, this trend is strongly related to a growing number of one-person households. The proportion of single-person households drastically increased to 35.9 percent in 2013 from about 9 percent in 1990, according to Korean Statistics. Watching someone eat online can be one way of dealing with single-person’s loneliness. They do not want to eat alone. They want to alleviate a sense of “alienation.” While they are watching these shows, they feel connected. Second, watching someone eat is also an efficient way to relieve stress from a fast-paced and hyper-competitive life style. Korean society has been dictated by a culture of “success at any cost,” which places enormous pressure to many Koreans. Students, for example, are stressed from demanding school life and young Koreans are pressured from hectic work life. By watching someone eat, it can be argued that Koreans are experiencing a vicarious pleasure. Third, the popularity of meok-bang is attributed to advanced technology, especially super-fast internet connections in Korea. Korea is known as the most wired place on the globe. Hyper-fast internet speed make it possible for viewers to interact with the shows. Meok-bang shows are streamed live, so these shows are not one-way, but rather mutual. Meok-bang hosts and viewers are “emotionally” connected to each other. This explains why the hosts tell stories while they are eating (and cooking). Many stories can be shared with viewers as well. This emotional connection might be made possible due to the high number of smartphone users. Korea has the highest smartphone use with a penetration rate of over 70 percent in 2014. This similar trend of watching someone eat occurred in the 2000’s in Japan, but made use of VCR and DVD, which are one-way technologies. Fourth, this trend is also associated with a culture of consumption. In affluent Korean society today, food is not simply meant to fill the stomach. In the past, Koreans ate because they were hungry. But today they are able to consume food based on taste and aesthetic. Meok-bang reflects this changing food culture in Korea as well. I think that these surging meok-bang shows are producing a new way of “commensality without actually sharing the same table.” These shows may transform eating as an individual act in modern society to social eating by providing a platform of bonding and sharing with strangers. Bampilis, Tryfon. 2013. Greek Whisky. The Globalization of a Global Commodity. Oxford: Berghahn. As a culinary historian who has made several culinary history trips to Greek venues, I looked forward to learning more about the consumption of alcohol as a dimension of Greek food habits and cuisine. Greek Whisky is not the book to gain such knowledge, because whisky, in contrast to indigenous Greek alcoholic beverages including wines, beers, and ouzo, is consumed mostly in social situations without food, in modernizing, Western-gazing venues that intentionally compare and contrast with traditional food and beverage settings. The goal of this volume is to describe “the social life of whisky” as a commodity, whose importation, marketing, representation in the Greek media, and inter-individual ritualistic consumption, has made whisky drinking (occasionally throwing) a Greek symbol of modernity, masculinity, and symbolic break with the past. Whiskey signifies expensive, imported European spirits, primarily Scotch, which tie the Greeks who spend heavily to imbibe them to the rest of Western Europe and symbolic “modernity”. To craft his argument, the author adopts a historical and “performances of consumption in relation to style”-based ethnographic analysis, which “follows the whisky” along historical food chains and media representation and into the drinking halls where he did his research. Two detailed ethnographic components focus in on the primary site for whisky introduction, which is Athens, and compare whisky consumption styles there with drinking venues on the Island of Skyros in the North Aegean, which is his mother’s original home. This secondary site, which has been transformed from a farming, shepherding, laboring, and merchant economy to a tourist venue, offers in depth ethnographic analysis of changing gender, kinship, age-related, and occupational categories. All of which, Bampilis argues, are expressed through drinking styles, by which principally males distinguish and separate themselves from the formerly matriarchal culture, where females controlled property and household purse strings. He draws a convincing dichotomy between traditional domestic (meza) and non-traditional outside (ekso) values, respectively expressed through different styles of social drinking and spirits-sharing situations through which individuals literally perform and construct their modern as opposed to traditional identities. In Athens, discriminating drinkers further differentiate themselves through their very expensive tastes in single-malt scotches, and occasionally, “‘out of control’ mentality materialized in scotch” which the author finds representative of “excessive unproductive mentality” (p.149), with devastating economic consequences for the individuals and those who rely on their financial contributions. The ethnography spans the decades after World War II, up through and including the current economic downturn and nation-wide financial disaster. Food anthropology or other food-studies courses might adopt individual chapters for different pedagogical ends. The preface and introduction provide a detailed synopsis of all major symbolic, exchange, and reflexive anthropological and sociological literature on globalization. This exhaustive social-science and philosophical theoretical framework connecting social, economic, and cultural globalization and localization, might be overwhelming for undergraduates, but provide a comprehensive “crib” for Ph.D. or possibly masters students. Chapters 2 and 3, which offer a detailed evidence base tying together the importation and marketing history with the distinctive, ritualized, consumption patterns surrounding imported spirits, might be useful in communications courses, especially as the reference points in these comprehensive business, advertising, and cinema media histories of Scotch, come copiously and effectively illustrated. The comparative ethnographies in chapters 4 and especially 5, the Skyrian case study, are valuable in their own right. A productive class discussion point throughout might be whether the author needed to ground so many paragraphs in post-modern jargon to make his overall points about localization of global commodities, and what continual reference to symbolic performance of social styles rather than identities, adds to the interpretation. The volume has been produced without careful copy-editing or a glossary of Greek terms. These are serious omissions that the series editors should take care to correct in subsequent publications.